Hearth of Hellenism: How Are We Equals with the Gods? The article I wrote in August, Freedom from Spiritual Slavery, left a bad taste in the mouths of some of my readers. I was charged with being hubris when I wrote that we “approach the gods as equals” in worship. The article was a complaint against contemporary Orthodox Christian behavior and its incompatibility with Hellenism. In Orthodox Christianity, humans are called servants/slaves (δοῦλος/doulos) of God. This is against the principles of Hellenism to think of yourself as a slave to any God because of your human nature. Aristonike, the wife of Antiphates from the deme of Thorai prayed and dedicated to Artemis, via WikiMedia. The Orthodox concept of “servant of God” is the result of a distortion of the Greek tradition. Yes, there were “servants” of gods but it meant something different. 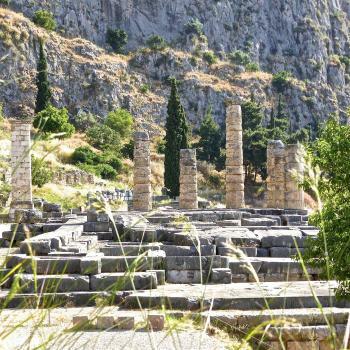 At the bottom of the social structure of Mycenaean Greece (1600-1100 BCE), there was the do(h)elos “salve” or “unfree” in contrast to the eleutheros “free.” These terms designated legal status tied to land ownership. 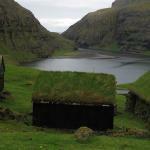 The unfree could not own land but could hold leases. There’s an inscription which says “Idomeneia, a do(h)ela of a deity, holds an onaton-lease on a ktoina kekkesmena from the damos.” Idomeneia was a servant of a deity meaning she was connected to a temple. Temples needed people to maintain them, Idomeneia was someone who managed a temple estate. Being that she obtained a lease, she held exceptional status in the community. Do(h)elos would over time be distorted, in the Orthodox understanding of someone who’s status was of direct and personal subrogation to God or to the emperor, as was the case in the Byzantine Empire. In classical Greece, Socrates makes a reference to being a co-servant ὁμόδουλός (along with the swans) to Apollo, his master. The relationship between Socrates and Apollo and what is being conveyed there is not a universally applicable for everyone and needs contemplation upon this individual case. Socrates probably accepted the role of doulos and Apollo to be his “master.” It seems to me Socrates became a “servant” of Apollo to fulfill a specific role on earth. It is the manipulated use of doulos which causes some today to worship in a way which is humiliating and degrading. In Christianity, God is God, and we are not God, we are sinful humans born of low cosmological status, servants of God; subordinates. This is far from the truth of Hellenism that humans and gods have equality between them. Are we equal to the Gods? Yes and no. Like most things, there needs explanation. 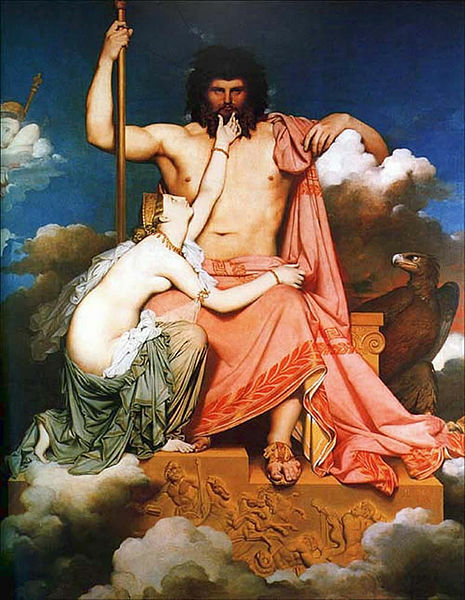 “Zeus and Thetis” by Jean Auguste Dominique Ingres. From WikiMedia. Firstly, equality with the gods is not hubris. It would be hubris to think of ourselves as better than the Gods. For anyone to elevate themselves beyond the gods is hubris because it is impossible to be above the gods. Queen Niobe learned this lesson the hard way. 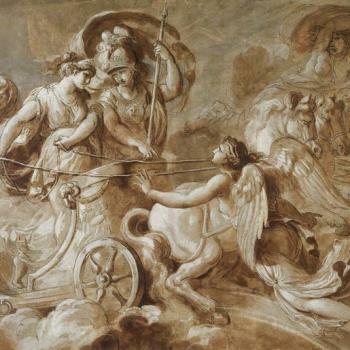 Queen Niobe believed herself to be better than Leto (mother of Apollo and Artemis) because she thought herself to be more fertile, having birthed fourteen children. She thought fourteen mortal children were better than two divine children. Thus, her hubris lead to the death of her children, Apollo killed her seven sons and Artemis killed her seven daughters. 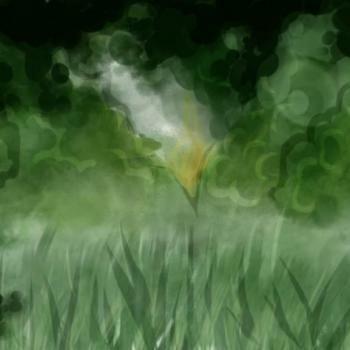 This myth demonstrates the harmonizing power of the Gods, who seek to maintain equilibrium in the cosmos. Secondly, to be equal with the gods does not mean we are the same as the Gods. Clearly, we are different, as evident by the physical bodies that die which we inhabit. The Gods are deathless and do not have bodies like us. However, this difference does not mean we are inferior or lack equality simply because we have bodies and they do not. To quote Heraclitus “What are men? Mortal gods. What are gods? Immortal men.” The line between us is thin. The differences do not warrant a negative self-imagine or for us to adopt a meek attitude of ourselves. Plutarch calls Apollo “friend” φιλος.There can only be equality between friends, it is the only way for friendship to be real. Friendship is the “most pleasant thing in the world” and because it is most pleasant thing, it can be achieved with the Gods. Our friendship with the Gods is possible through a fundamental cosmological relationship. Humanity has divine origins. Hesiod tells us in Works and Days that “…from the same origin are sprung gods and mortal men.” The vast orphic literature also testifies to our divine origins. 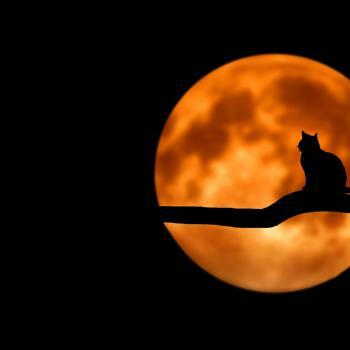 The illustrious father of night, existing from eternity. Whom men call Phanes, for he first appeared. The race of mortals, who inhabit the boundless earth for ever. The Orphic Hymn to Protogonus identifies Protogonus as the “procreator of the blessed gods and mortal men.” In addition to these two sources, we can find the idea of humanity’s divine nature found in the Zagreus myth. Zagreus (Dionysus), the son of Zeus and Persephone, was given his father’s throne. The jealous Titans lured the baby Dionysus away from the protection of the Kouretes. Using toys to distract the baby, they tore him to pieces. 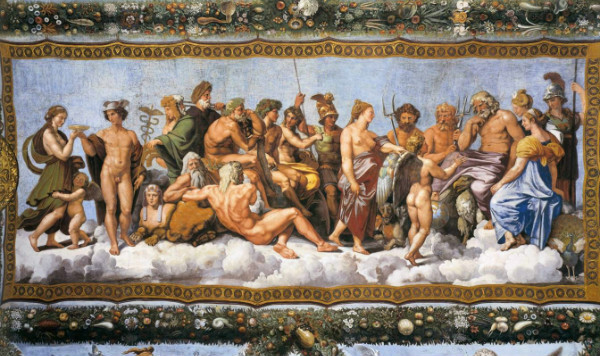 Athena saved the heart of Dionysus, gave it to Zeus and Apollo buried the limbs on Mt. Parnassus. Zeus with the lightning bolt destroyed the Titans. From the soot of the burnt Titans, humans were created. Because the Titans had eaten a portion of Dionysus, humans are dual natured, comprised of Dionysiac and Titanic elements. It is our Dionysiac element which extends equality between the Gods and us. While we have Titanic bodies, our souls are divine, and it is because of this we are equal in this regard. Thus, as I explained in the original article, in worship, we behave in a manner appropriate that recognizes and honors the Dionysiac portion of ourselves. All this that I explained is why Greeks approach the Gods in ritual/worship as equals. 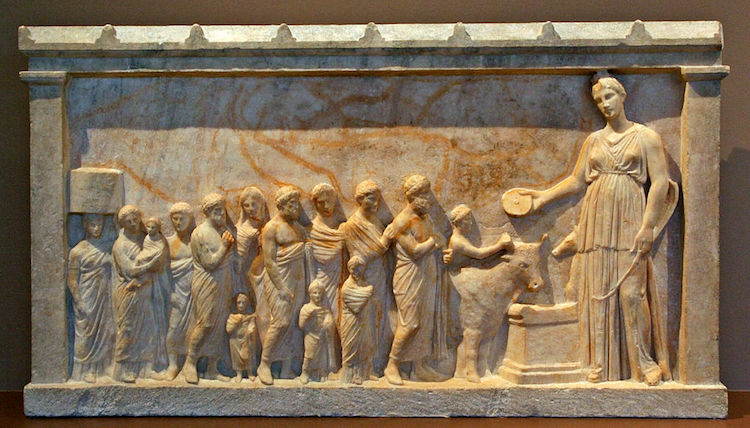 As the votive relief below demonstrates to us this idea in practice. Below you will see worshipers bringing a sacrifice to Artemis. All figures are standing including Artemis. Though she is larger in size (signifying her divinity) the people stand as well, acting appropriately for the worship they are engaging in. It is not hubris to see our relationship with the Gods as one based on equality. It is the greatest gift we have. Parker, Victor. A History of Greece: 1300 to 30 BC. Chichester, West Sussex: John Wiley & Sons, 2014. 38. 2 Rotman, Youval, and Jane Marie Todd. Byzantine Slavery and the Mediterranean World. Cambridge, MA: Harvard University Press, 2009. 167.